Heat gas or charcoal grill. Beat egg in large bowl. Add all remaining ingredients except buns; mix well. Shape mixture into 4 patties, 1/2 inch thick. Place patties on grill. Cover grill; cook over medium heat 10 to 12 minutes, turning once, until meat thermometer inserted in center of patties reads 160°F. If desired, toast cut sides of buns during last minute of cooking time. 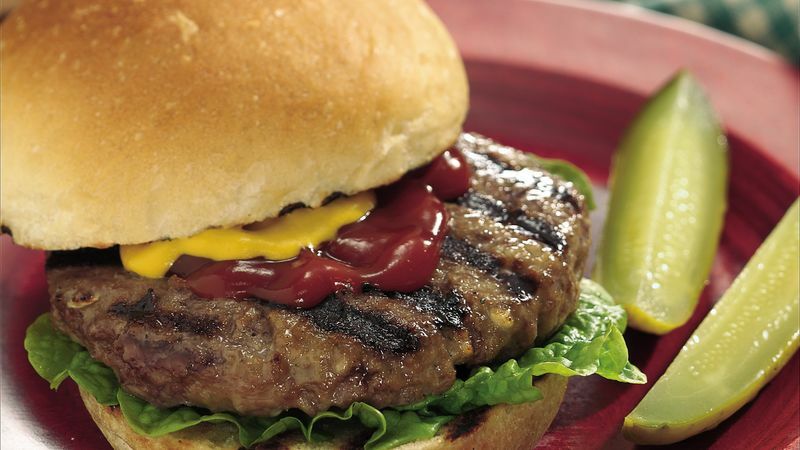 Serve patties in toasted buns with desired condiments.